Growing up in agriculture, planting season was one of my favorite times of year. The anticipation of seeing the first signs of corn and soybeans coming up through the soil was exciting to me. As you know, laying the groundwork for a successful harvest requires detailed preparation at planting, and your expertise and attention throughout the year. More than ever, farmers are making the most of every acre by using digital agriculture tools to simplify field data management, better analyze seed performance and maximize their returns with planting prescriptions. To take advantage of these data-driven tools, it’s important that your seed prescriptions, equipment and Climate FieldView™ account are ready for action at planting time. Here are a few more tips to help you hit the ground running. Make any last-minute adjustments before planting. Ensure you are able to view your planting maps alongside field health imagery, weather data and more by downloading, or updating to, the latest version of the Climate FieldView™ app in the app store. Also, verify that your iPad® tablet is loaded with the latest iOS software. 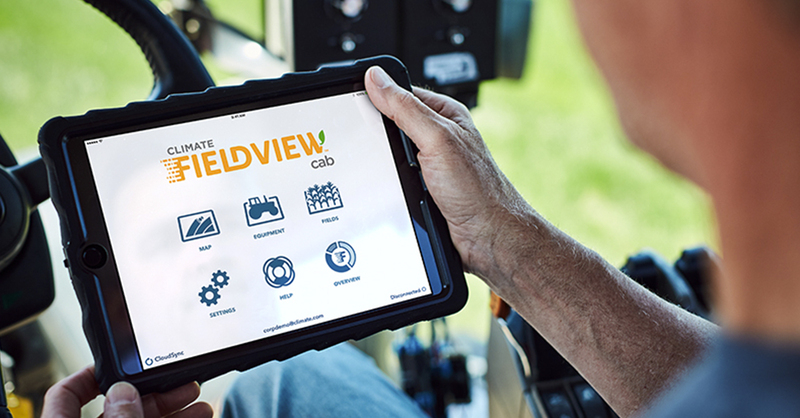 Be ready to capture planting data that will benefit you all season by making sure you are properly connected to the Climate FieldView™ Drive, 20/20 SeedSense®, or John Deere Wireless Data Server (WDS). If FieldView™ Drive has not previously been paired, click here for instructions. Have a productive cab experience by making sure you have correctly set up the field boundaries in your account. Add, edit or delete fields within your account now. Reduce errors in the field and enable easier analysis by making sure your hybrids are named and properly loaded in your Climate FieldView account before planting. Make the most of your planning opportunity by easily exporting prescriptions to the FieldView™ Cab app and transferring them to the 20/20 SeedSense. Receive real-time updates of planting and harvest issues, progress and performance with notifications, email reports and text alerts. To help you determine the best time to plant, start by monitoring in-field conditions. The Climate FieldView mobile app displays field level rainfall for the last 24 hours which can help you determine when it is too wet, too dry, or just right for planting. Plus, learn more about support@climate.com. I wish you well as you begin another planting and growing season, and I encourage you to make the most of every acre with the help of Climate FieldView digital tools and technologies.